Thank you for that link and info. I did of course read all the info in my install manuel several times, but the term PE was never mentioned, likely because this inverter was made in Germany and according to that link you provided, it is a common term there but not here in the USA. I did try Googling the term but could not find an answer, sure glad you came to my rescue. That is how I have it hooked up because it just made sense to me but it is always a better idea to err on the side of caution in these matters. Your grounding question is an interesting one, especially as regards grounding the panels which will almost certainly be made of Ali, and since they are black either painted or most likely anodized. Bare aluminum oxidizes within seconds of being exposed to air, and this oxide layer is regarded as an insulator. So, even if you religiously sand/clean the place where your lug is going, by the time you bolt the lug on it (the lug) is insulated from the aluminum frame! To combat this the industry developed the WEEB (Washer Electrical Earth Bonding) , originally developed by Wiley I believe. This is a stainless steel washer, with very sharp, pointed cone like bumps on each face. When placed between the panel and lug, (or the panel/mounting rail) and the through bolt is tightened, the sharp points are forced through the oxide /paint layer into the raw ali, and assuming that the bolt is swiftly tightened to spec and never loosened, a sealed gas tight coupling is created so no oxide can form, thus ensuring a good ground connection. WEEBs come in many shapes and sizes from round to oblong ones that match inverter lugs, clamps, earth lugs, rack channel clamps etc. brndy_bondingarticle.pdf Here is a good article from the manufacturer. Probably more info than you wanted, but anyone installing ali based electrical kit needs to know about these, a few small items costing just a couple of cents or bucks might save your life! Usually buy inexpensive grounding lugs from Aliexpress, the cheapest but not sure their quality. Thanks for the info colinmcc, the city inspector for my solar project gave me the OK for the way my system is grounded, so I'm OK with that. No grid errors but it says there is a ground fault and to check the fuse. I've looked the system over several times and can only see one thing the might or might not cause a problem. I only have one array connected to my inverter, it can have as many as three connected. Since I only have the one array connected, I did not think it mattered which input I connected my array to, so I connected it to the #2 array input because it was easier to access. Does anyone know if this could cause a problem like I'm experiencing? 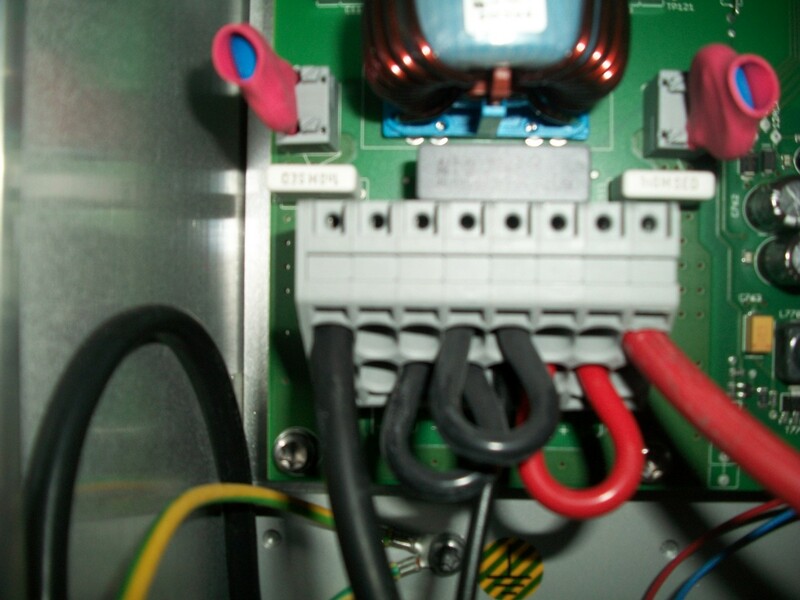 My thought the ground fault may not be in the inverter, but in one of the house circuits. Really, any idea how that could happen? The inverter does tell me that it was not caused by a grid error but I guess you are saying it could be caused by the way my AC wires are hooked up to the grid? That is interesting, I figured since it said there was no grid error that that part was working OK but it has to be with either that part or the DC part. I took some pictures of how my wires are hooked up, not sure it will help anyone help me figure this out but I'll add them, just in case. Not sure, but I ran into that when a water heater kept tripping a GFCI. The water heater worked fine and didn't trip the original breaker but the GFCI wouldn't tolerate it. Once I fixed the fault everything worked fine. I can't say that's the issue but it might be something to check. I would turn off all the breakers except the one connecting the inverter to the grid, then turn them back on one at a time. 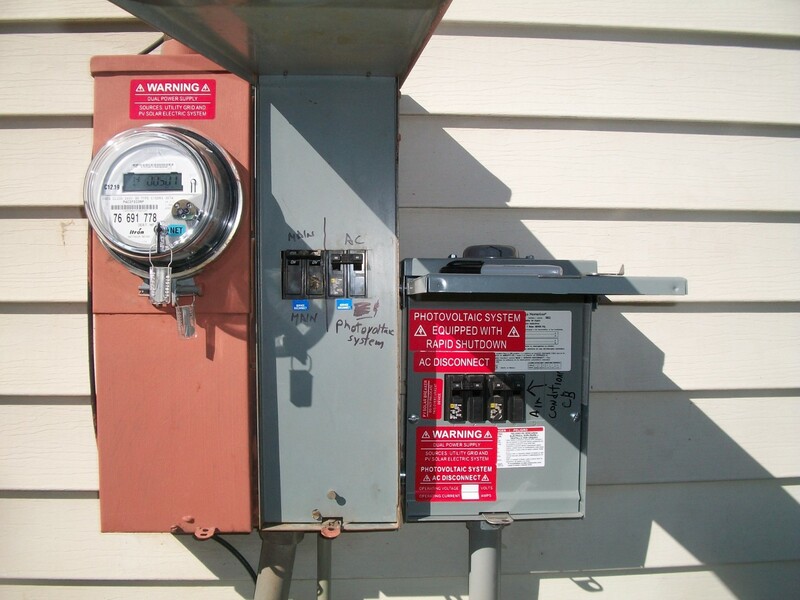 Is one side of your solar array grounded or are both sides "hot"? What does the manual say? Thanks for the reply. My AC power for my inverter is coming right off main CB box, so the only thing connected to it is my Air condition system. I guess that could be an issue but my central air has never had any issues before, still I could turn it off and see what happens. Not sure what you mean by both sides of the DC side being hot but since I only have the two wires coming from my solar array both go to the inverter, one is the red the other is black and that is how the manual says to hook it up. The only difference would be if the panels are positive or negative grounded. 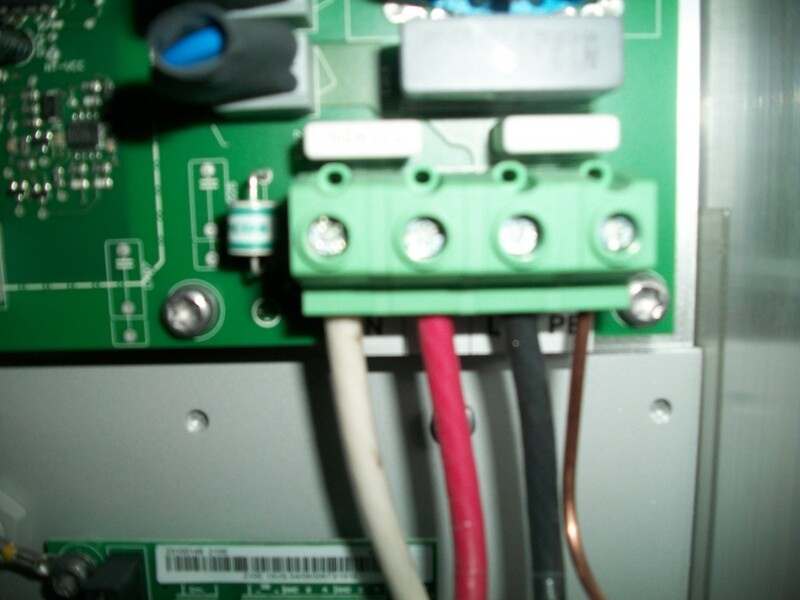 The manual says if the panels don't say, then assume the negative side(black wire) is the ground side.